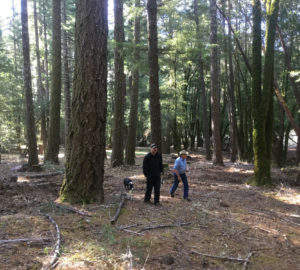 Two new awards from the California Department of Forestry and Fire Protection (CAL FIRE) are supporting League work to increase the carbon sequestration potential of redwood and giant sequoia ecosystems, while protecting them and surrounding communities from the threat of severe wildfires. As the Chief of the California State Parks Partnership Office, Christina Jaromay’s primary challenge is figuring out connections: how to make new ones and strengthen old ones. 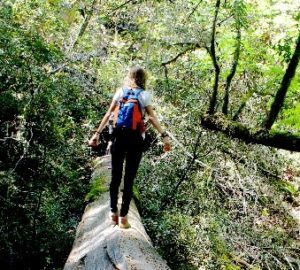 The long-standing partnership between Save the Redwoods League and California State Parks is one such relationship Jaromay oversees. Want Redwoods on Your License Plate? With your help, our state tree – none other than California’s redwoods – could be featured on license plates statewide! What’s more, the proceeds from license plate sales and annual renewals will support the conservation and restoration of California’s state parks. However, we need you to help make the redwood license plate a reality. 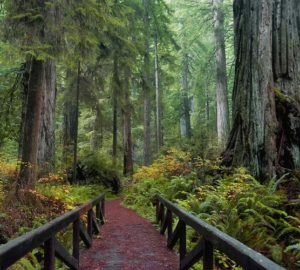 I think it would be safe to assume that most everyone can enjoy a peaceful walk in the woods. Whether you are 8, 18 or 80, no one can deny the staggering beauty of giant trunks rising into a canopy of green. Mount Tamalpais State Park is one of these unique places, home to breathtaking redwood groves. It towers above the bay just north of San Francisco in Marin County. Unfortunately, places like Mount Tam aren’t always accessible to people and families of lower income and limited resources. So what can we do to ensure that everyone has the opportunity to experience this place?